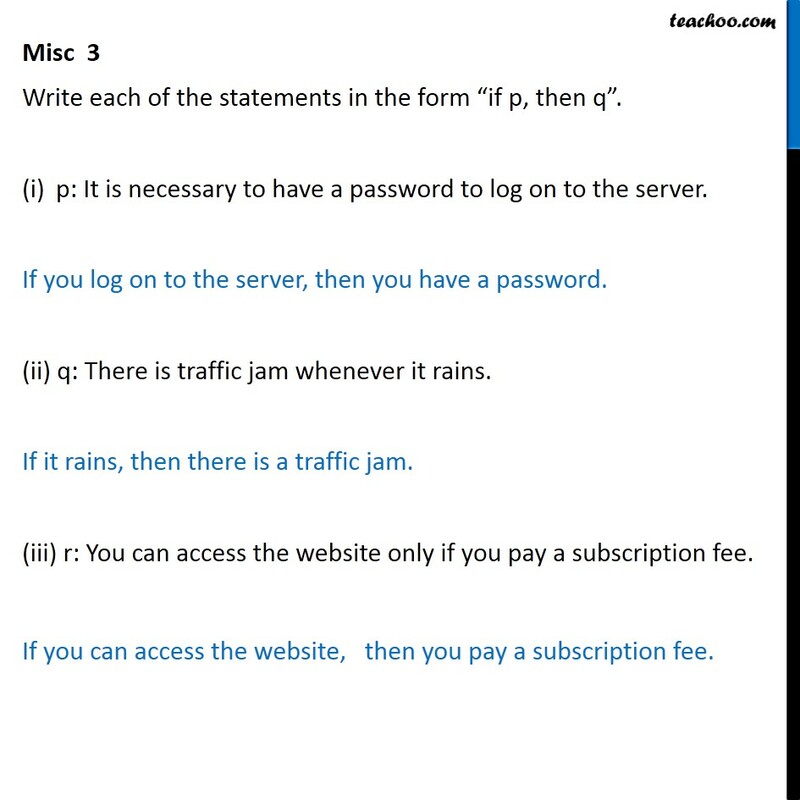 Misc 3 Write each of the statements in the form “if p, then q”. p: It is necessary to have a password to log on to the server. If you log on to the server, then you have a password. (ii) q: There is traffic jam whenever it rains. If it rains, then there is a traffic jam. (iii) r: You can access the website only if you pay a subscription fee. If you can access the website, then you pay a subscription fee.